O Casamento de Jose e Maria is a love story for all. The print is a part of her Dating series that she created when she, herself, was in the grips of love and courting her partner. Through the use of the names Jose and Maria, which are common in Brazil, and the visual language of traditional Brazilian woodcuts, Bettiol wishes to share and universalize the experience of love. 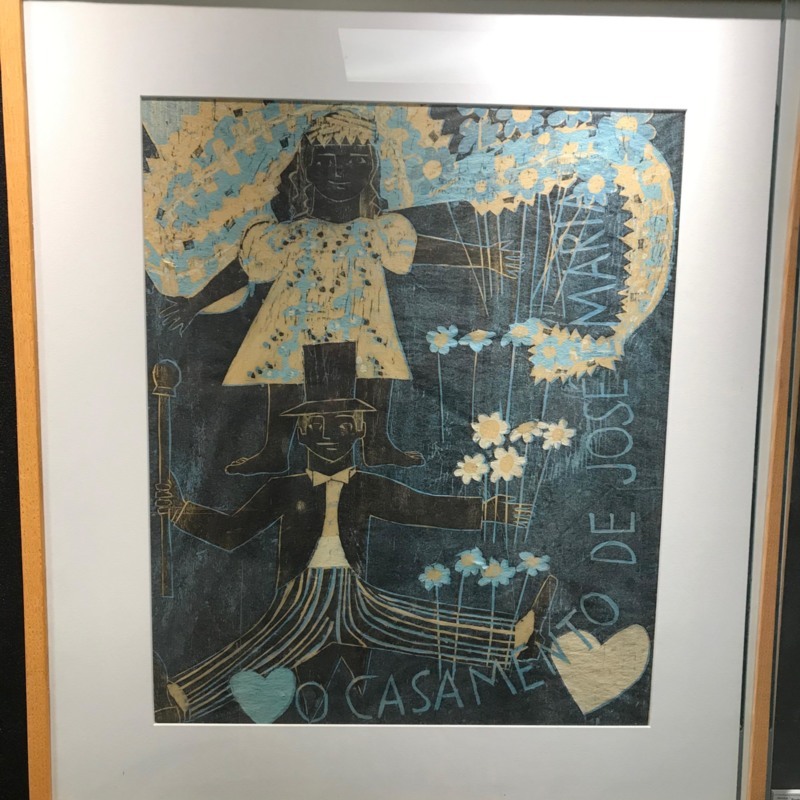 Zorávia Bettiol (Pôrto Alegre, Rio Grande do Sul, Brazil, 1935-), “O Casamento de Jose e Maria,” Cunningham Memorial Library Digital Exhibits, accessed April 20, 2019, http://omeka.indstate.edu/document/3042.